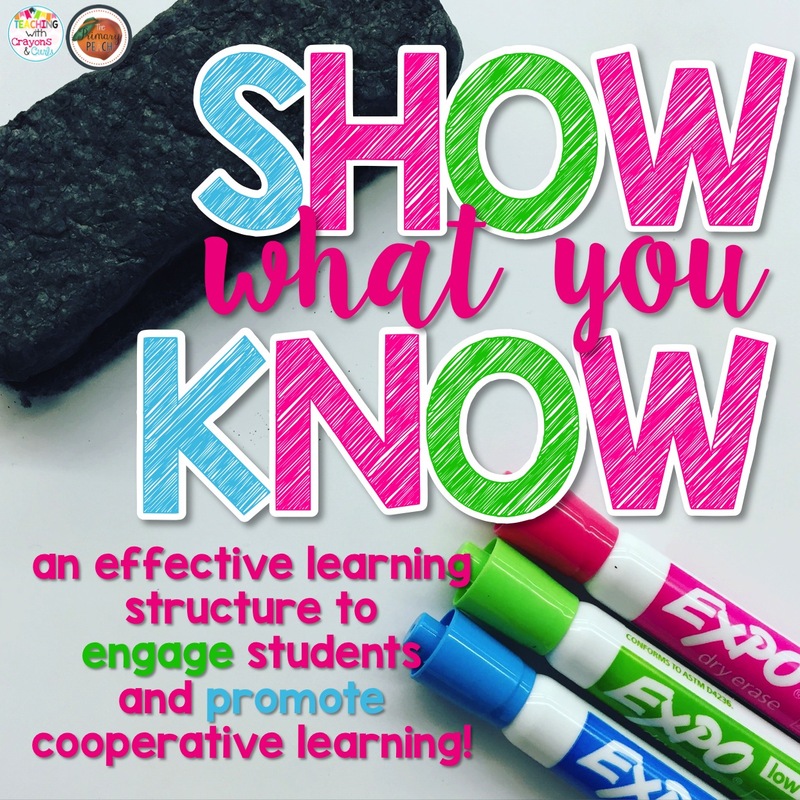 The Primary Peach: A Teaching Pot of Gold: Show What You Know! Hey Y'all! This is Chandra from Teaching with Crayons and Curls! 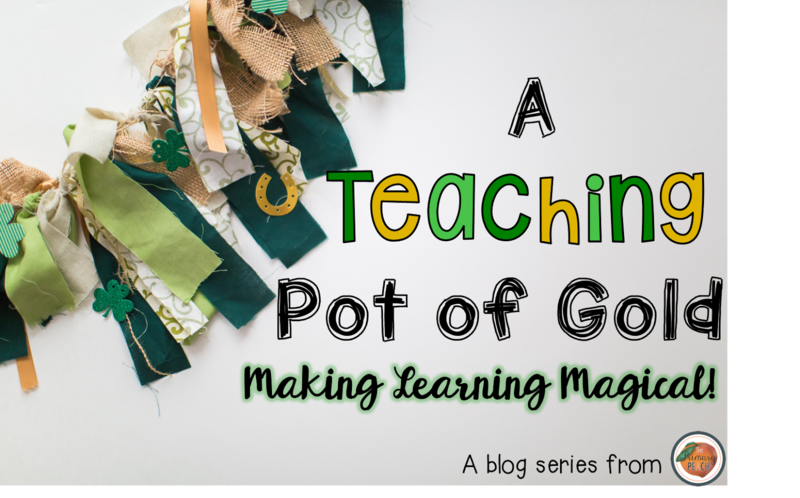 I hope that you've been enjoying our posts this month and have learned some magical new ideas to use in your classroom with our Teaching Pot of Gold: Making Learning Magical blog series! I don't know about you, but I truly believe that for my students to LEARN, they have to be ENGAGED! So, I'm here to share some magic about how I try my best to keep my students engaged! My husband is also an educator and many of our conversations are school related. He has been so fortunate to attend many more education conferences than I have, and has always been willing (and excited) to share the information he has learned with me! At one of the conferences that he attended, he was very lucky to learn all about Kagan Structures. 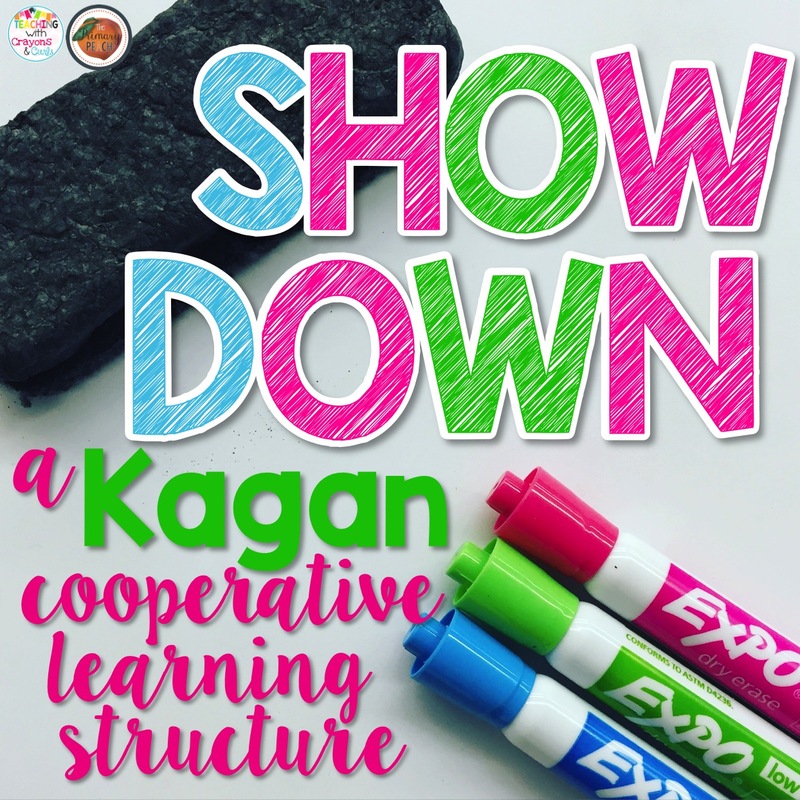 I had never heard about Kagan Structures before, but now I am completely hooked! I have to figure out a way to be officially trained or find a way to attend a workshop! 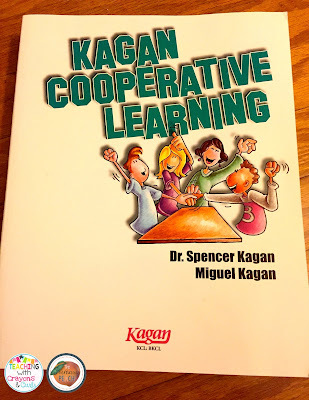 If you've never heard of Kagan Cooperative Learning, but you are looking for ways to engage your students and provide them with experiences for cooperative learning, I highly suggest looking into these structures! This book is absolutely incredible! One of my favorite structures is Show Down! My students absolutely LOVE this activity and it's a great way to review for a math test while also allowing them to work cooperatively- hello Speaking and Listening standards!!! You can read about the specific directions for how to complete this activity from the creator, Laura Candler, on her blog! I changed it up a little bit in my classroom for my firsties, but it's still very similar! My students always use dry erase boards for this particular strategy. 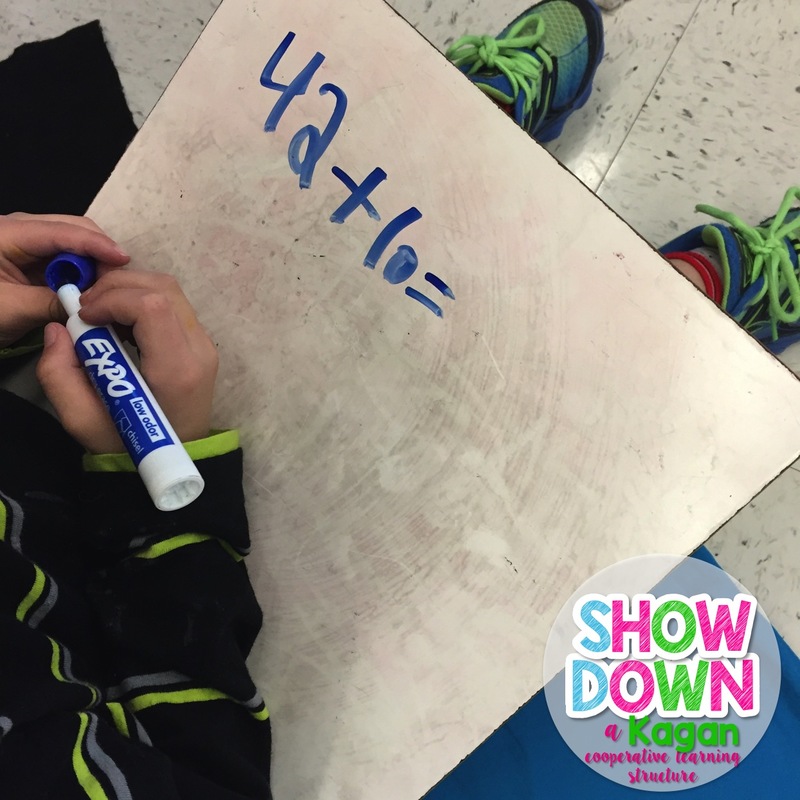 I LOVE using dry erase boards in my classroom because they are fast and easy, and my kids love using them! Win, win! I have my students work in small groups of about 4 students and they sit in a small circle. We usually sit on the floor for this activity and I walk around the classroom to take observations on their work- great quick assessment tool! In the actual directions, there is a team captain that switches a task card over! However, I usually just display the problem students are solving on the Smartboard. The task cards are a great way for you to differentiate the problems each group is working on, but since I usually use this activity for a test review, we are all working on the same problem! Once the problem is up, students get to work independently. I have them try to keep their dry erase boards hidden from the other members of their group, so that they are working independently. 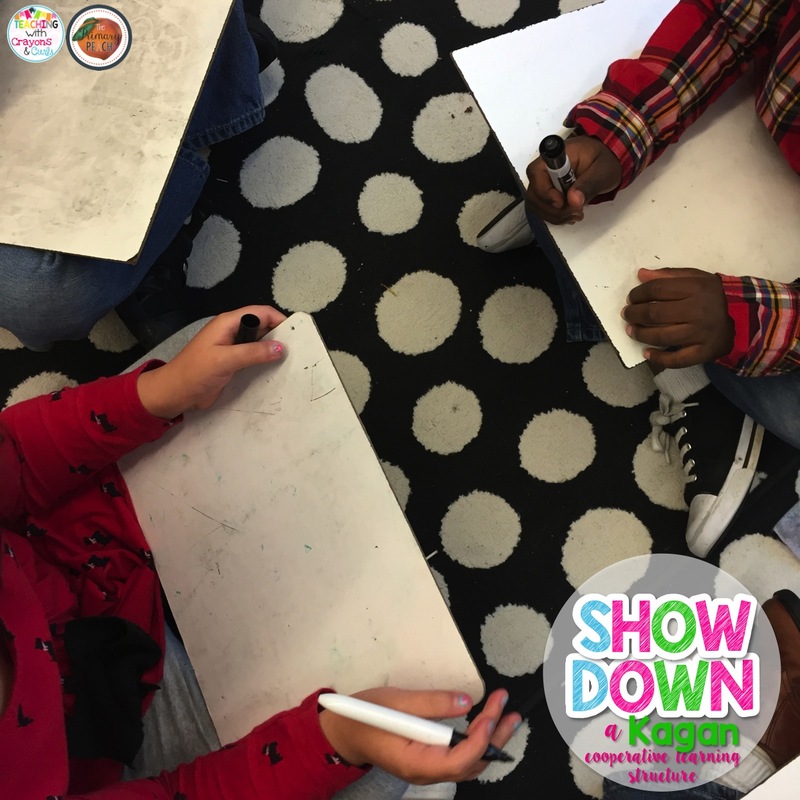 Once I notice that most students are done working, I yell "SHOWDOWN" and students turn their boards around so that all the students in their group can see their work. This is when they work cooperatively to discuss how they solved their problems or completed the problem. They can celebrate successes or tutor each other on how to correctly solve the problem. This is NOT a game, nobody wins or gets point! It's truly about working together and teaching each other! My students get so excited everytime I tell them we are about to complete Showdown, which makes my teacher heart so very happy! I would LOVE to know what Kagan Structures you love using in your classroom! Make sure to comment below with your favorites! Love showdown. I also love inside outside circle, stand up, hand up pair and share, Rally (between two students) and round robin rally for a table. Kagan is great!!!! How would you use this in social studies? I teach 6th grade? Thanks. In 6th grade you could have question cards for each group. 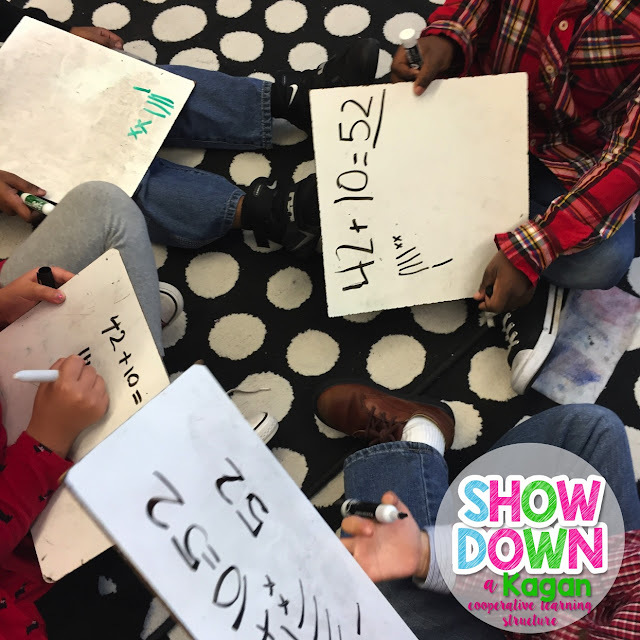 One person choose a questions, all students solve independently, when everyone in the group is finished they show boards and discuss the answer and coach if any team member needs it. Hope that makes sense. Students love it. Gclub Investments you can play at home. จีคลับ Online betting with thousands of online games today is considered to be a good starting point and generating income for all players will have access to and access to all casino games as desired by the site. Free betting on gambling Millions of gamers play online games of all kinds, so it's easy and it's something you can pick and choose on my own. And every time you want to play online casino games, you just click on our online casino site, you can play online casino games, everything you like to call it. Playing your online gambling games is not easy, just open your mind and you can invest in all kinds of online gambling sites as you wish.